The beauty of pasta is it's so quick to make, it's versatile and can be super-nutritious, too. 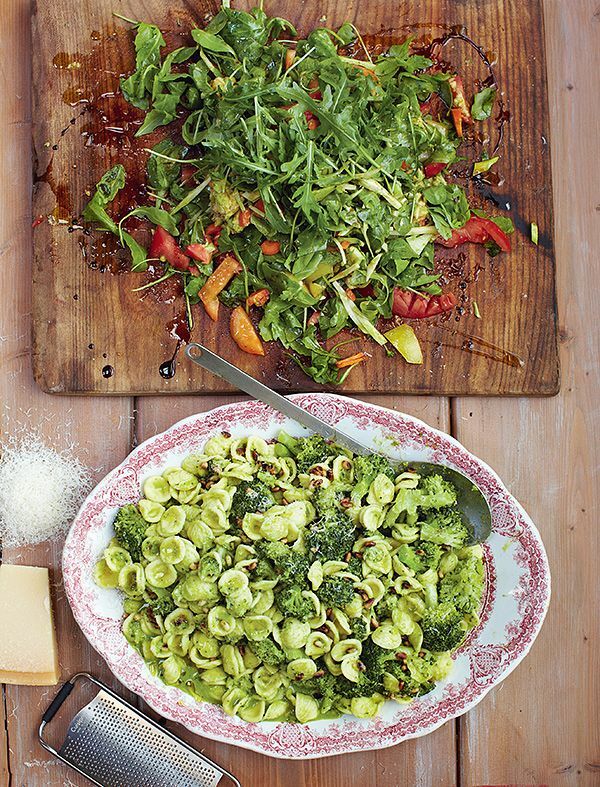 Celebrate veg with Jamie Oliver's quick, easy and healthy vegetarian pasta recipes – perfect midweek dinners that will please the whole family. 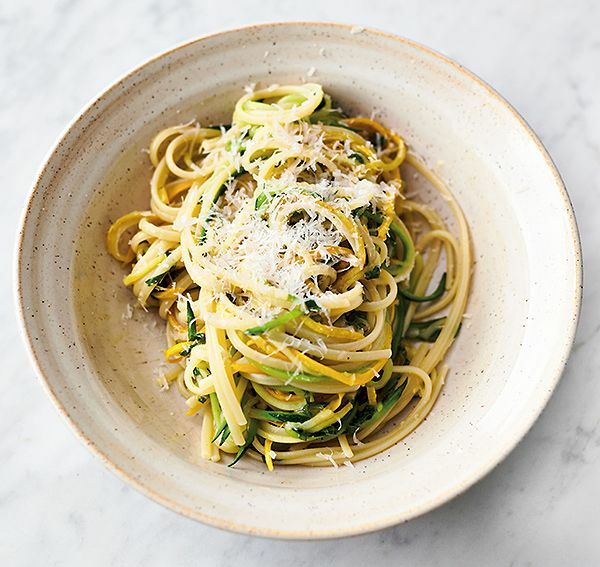 Lemon, Parmesan and mint gives this Lemon Courgette Linguine from Jamie's 5 Ingredients: Quick & Easy Food a delicious summer twist. 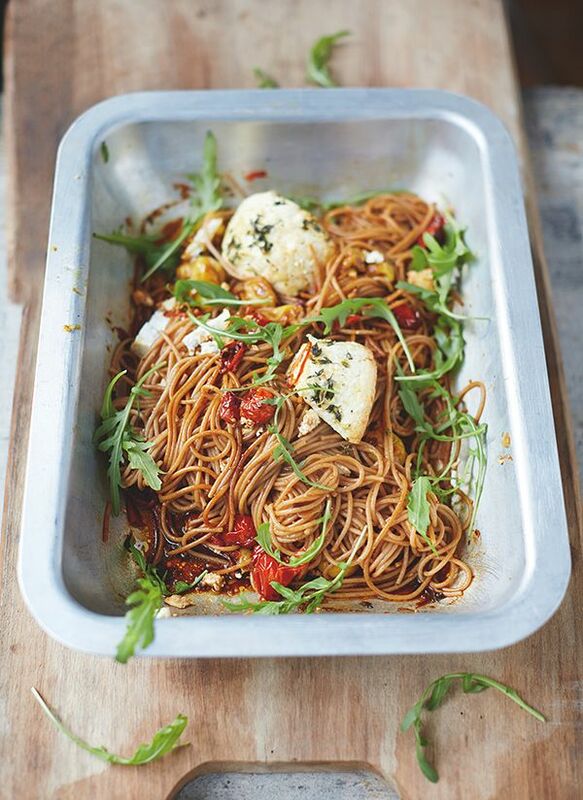 Embrace nutty spelt pasta in this Superfood Spaghetti, Vine Tomatoes and Baked Ricotta recipe from Everyday Super Food. Healthy, quick and delicious. 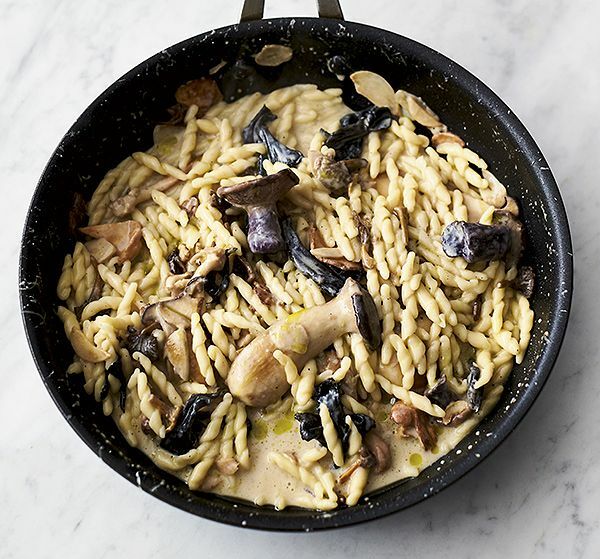 Garlic Mushroom Pasta from Jamie's 5 Ingredients: Quick & Easy Food is the perfect midweek meal. Quick to prepare, and using only five ingredients, this is a great recipe to have up your sleeve. Fresh basil, anchovy, chilli and pine nuts lift this Broccoli Pasta from Jamie's 15-Minute Meals to something super-delicious. 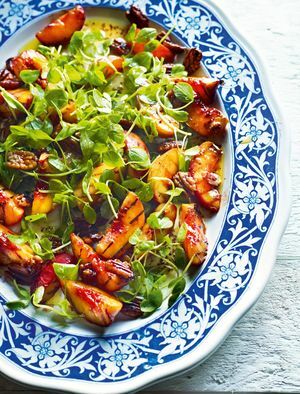 Served with a quick chopped garden salad, it's a fresh, colourful supper. 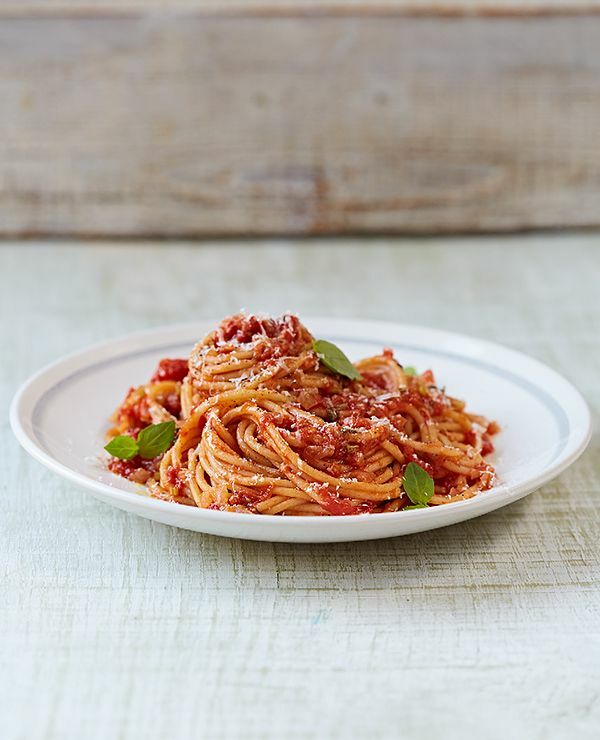 What's not to love about Classic Tomato Spaghetti? 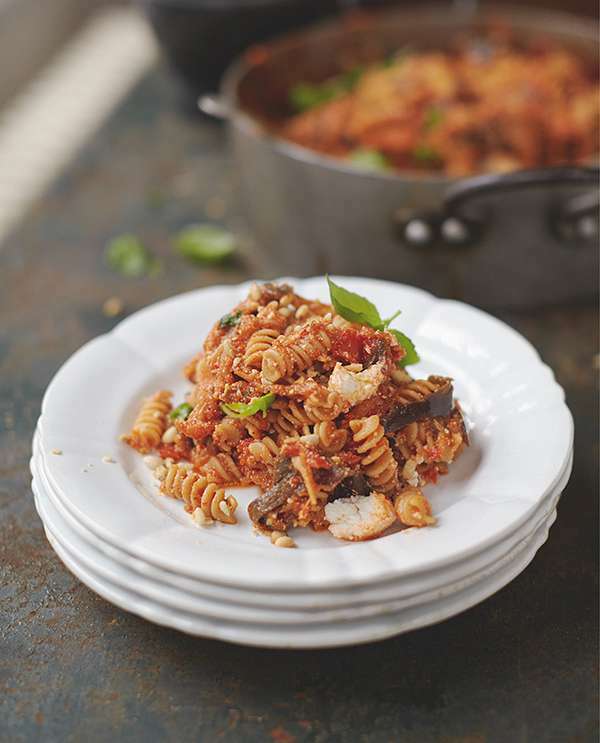 With just a few basic storecupboard staples, this tasty vegetarian pasta dish can be thrown together with minimal fuss. 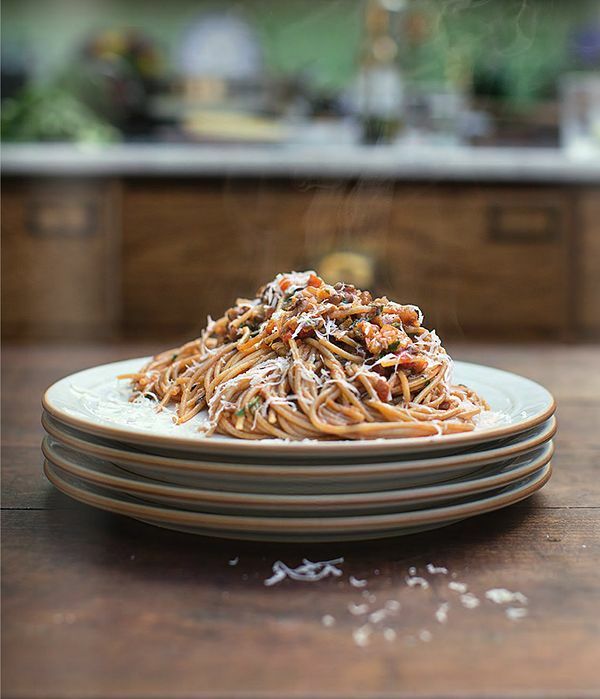 Super-healthy Happiness Pasta, Sweet Tomato, Aubergine and Ricotta from Jamie's Everyday Super Food is summer family food made easy. Veggie Bolognese, Loadsa Veg, Lentils and Parmesan from Jamie's Super Food Family Classics embraces copper-rich lentils instead of minced beef in this protein-rich, healthy dinner. When summer comes, we naturally crave lighter dishes and embrace outdoor eating (British weather permitting!). This collection of books celebrates the spirit of summer cooking and will take you right through to September, whatever the occasion. Looking for a gift with the wow factor this Mother's Day? 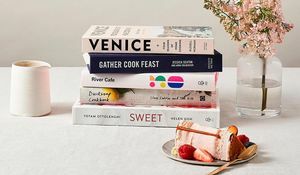 Look no further than these cookbooks that are as easy on the eye as they are pleasing to the palate. 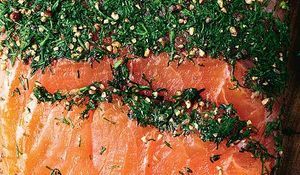 Kick off Christmas dinner with a bang with these easy make-ahead Christmas starter recipes, from classic prawn cocktail to punchy salads to an impressively simple salmon gravlax.